How do you feel about the team of Farmer and Pettine? 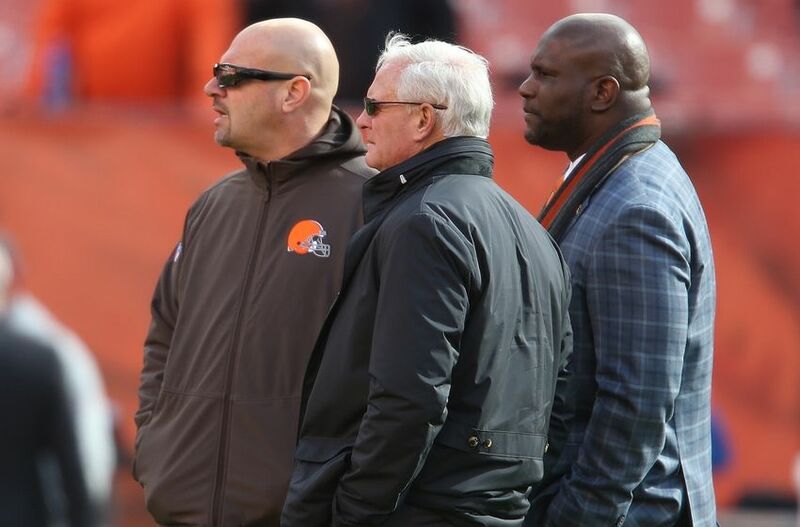 It was one year ago that the Cleveland Browns made what could turn out to be a franchise-altering decision in hiring head coach Mike Pettine. The club continued to move away from the stale notion that Berea is a “toxic situation” where “dysfunction” runs rampant a few weeks later when owner Jimmy Haslam showed Joe Banner and Mike Lombardi the door while simultaneously elevating Ray Farmer to the position of general manager. Thinks haven’t been perfectly smooth, of course, as Farmer and Pettine have worked their way through their first year together. Farmer’s two first-round draft picks, Justin Gilbert and Johnny Manziel, have yet to show that they are serious about wanting to put in the work needed to be professionals. Pettine had his rough moments on the sidelines during the season, most notably when he decided it was a good idea to try a 60-yard field goal at the end of the first half in Atlanta. But both men have shown they have the ability to balance out and, hopefully in the future, tip the scales far more in favor of the Browns. Farmer absolutely nailed second-round draft pick Joel Bitonio, and added talented players Terrance West, Chris Kirksey, Isaiah Crowell and K’Waun Williams to the roster. He also upgraded the defense by replacing D’Qwell Jackson with Karlos Dansby and T.J. Ward with Donte Whitner. As for Pettine, he never used the team’s growing injury list as an excuse, dealt with team problems in a sensible and professional manner, and managed the Brian Hoyer/Johnny Manziel quarterback situation about as good as could be expected. Best of all, he never let the noise and the nonsense get to him — at least publicly. And we love the way he has of letting the media know that they are pushing nonsense without belittling them. A good example cam this week when he dealt with the ridiculous notion that the Browns should have found a way to force offensive coordinator Kyle Shanahan to stay with the team. With Farmer and Pettine at the helm, for the first time since the Browns returned it feels as if there are actual adults running the club. 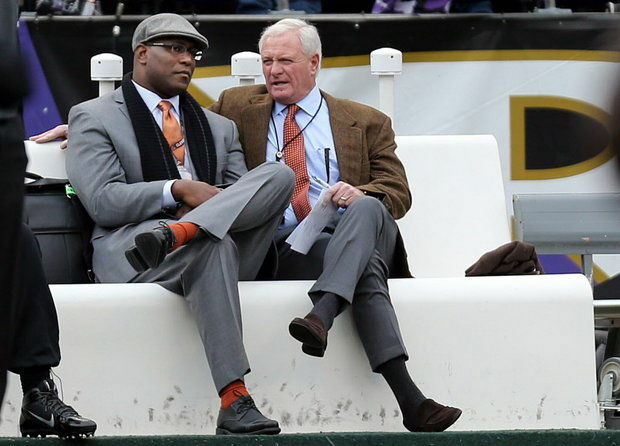 Which brings us to the final question in our weeklong look at the current state of the Browns. Jeff Rich, a Senior NFL Writer at More Than a Fan; co-host of Rapid React on MTAF Cleveland; and who is heard live on Sundays from 11 a.m. to 1 p.m. at sportsbyline.com. Find him on Twitter @byJeffRich. David Zavac, a Browns season-ticket holder and editor of Fear the Sword, who can be found on Twitter @fearthesword. 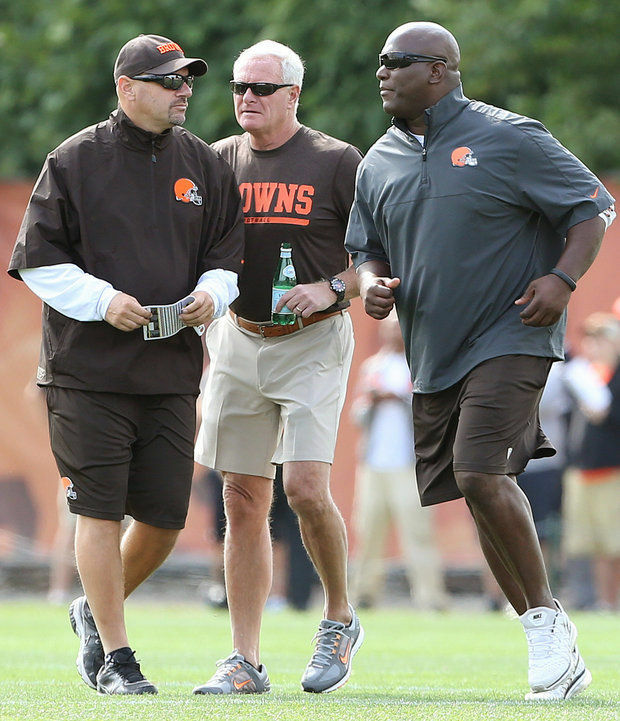 Today’s question: Do you feel better or worse about the tandem of Ray Farmer and Mike Pettine than you did before the start of the season? Jared: Far better. Neither were proven commodities and I had little information to go on. While I might not agree with some of their decisions, I want a coach and GM that makes a plan and then sticks with it. Farmer continually churned the bottom of the roster seeking players for the short- and long-term growth of the team. Petting made mistakes but established a culture in the locker room, held people accountable and isn’t afraid to do things his way. I want the leaders in our organization to feel this kind of confidence and to compete with that same boldness. I’m all in on Farmer and Pettine. David: Well, I’m not writing anyone off. Taylor Gabriel, K’waun Williams and a few of the actual draft picks might well salvage the 2014 NFL Draft for Farmer. Joel Bitonio obviously looks like he can help anchor an offensive line in Cleveland for a long time, and Christian Kirksey put together a good rookie season as well. But man, that first round looks bad. It’s going to be interesting seeing Farmer navigate the next six months or so. He doesn’t have an easy job, of course, though he has flexibility and picks and talent on the roster. 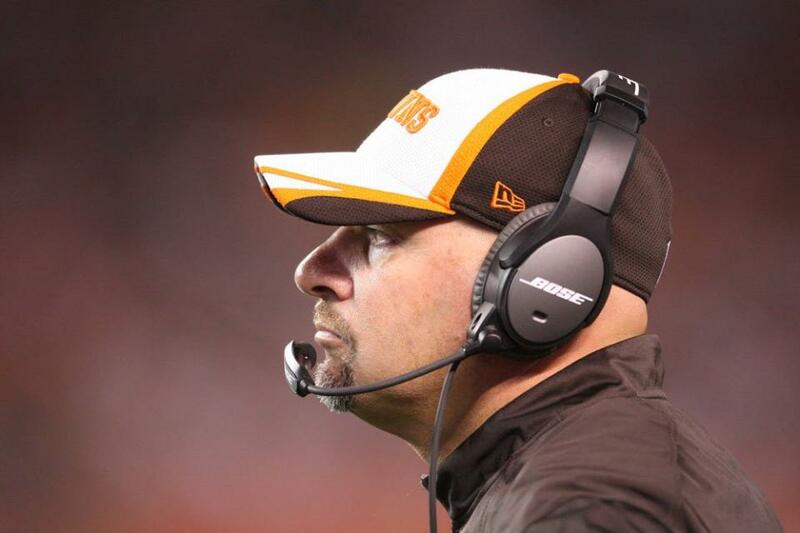 Pettine, well, seven wins from a first-year Browns coach without average quarterback play should buy some time. In-game management and some public criticism of players has my antennae up a bit, but I can’t call them red flags just yet. The defense improved throughout the year, and started to develop some of the attitude you heard about Pettine’s teams from Buffalo and New York having. I’ll remember that defensive performance against Andrew Luck and the Colts for some time. So, patience for both. Can they nurture the good stuff, weed out the bad, put together something real? It feels possible. We will see. Last time the head coach and GM were on the same page was Butch Davis – and he was both. I mean, Mangini even hired Kokinos and wasn’t on the same page with him. Dave: Both are competent. Of course, Farmer could have hit better in the first round and Pettine is an occasional meathead when it comes to in-game decisions. But compared to Pat Shurmur and Mike Holmgren, it’s a big leap forward (into mediocrity). But this question is irrelevant because neither one of these guys survives into 2016. Had the Browns come out flat against the Ravens a month ago, we would already be talking about at least a new coach. Ryan: Obviously, it’s disappointing how the season finished on a five-game losing streak. That leaves a bad taste through the whole offseason. But I’m encouraged that Pettine and Farmer developed an identity and have set a vision for what they want this team to be. I think this team took big strides toward becoming that in their first season. Once Pettine gets his staff completed, hopefully they can hit the ground running in identifying the type of players they want to have wearing the orange and brown in 2015. The feeling out period is over. Now it’s time to push the pedal to the floor. So that’s a wrap. Simply a phenomenal job this week from everyone and we can’t thank you enough. If there was a way that we could do beer for the boys, this would have been the week.